superior insulated outdoor cat house featuring PanelAbode Engineered Panel Technology, removable roof, and more! 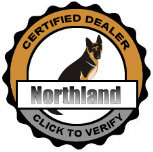 Our large insulated outdoor cat house is designed specifically for large cats weighing up to about 25 lbs. 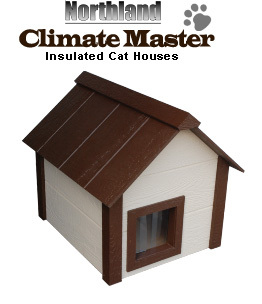 * Like all of our Climate Master Series insulated pet houses, this house features our PanelAbode laminated engineered panel technology, a thick layer of true foam insulation, our Slide-Lock removable roof system, and a host of other popular features for the ultimate comfort and protection of your cat.